So you're ready to play Dungeons & Dragons. You've got your dice, your GM Starter Kit and your Player Starter Kits. What's next? Adventure awaits! Over the next few days we'll be giving you the skinny on all the published adventures from Wizards of the Coast so that you can decide which one might be right for your party. Walk the cursed misty streets of Barovia and face the dread vampire Count Strahd von Zarovich. Meet Romani bands, battle alongside vampire hunters, and risk becoming damned yourself as you explore the halls of Castle Ravenloft and discover what lays hidden in the darkness. This fantasy-horror adventure covers levels 1-10 and is not for the faint of heart. Check out Gale Force Nine's awesome campaign accessories. Tarokka cards are used by a key non-player-character, Madam Eva, and help the GM determine the party's part in several story milestones. 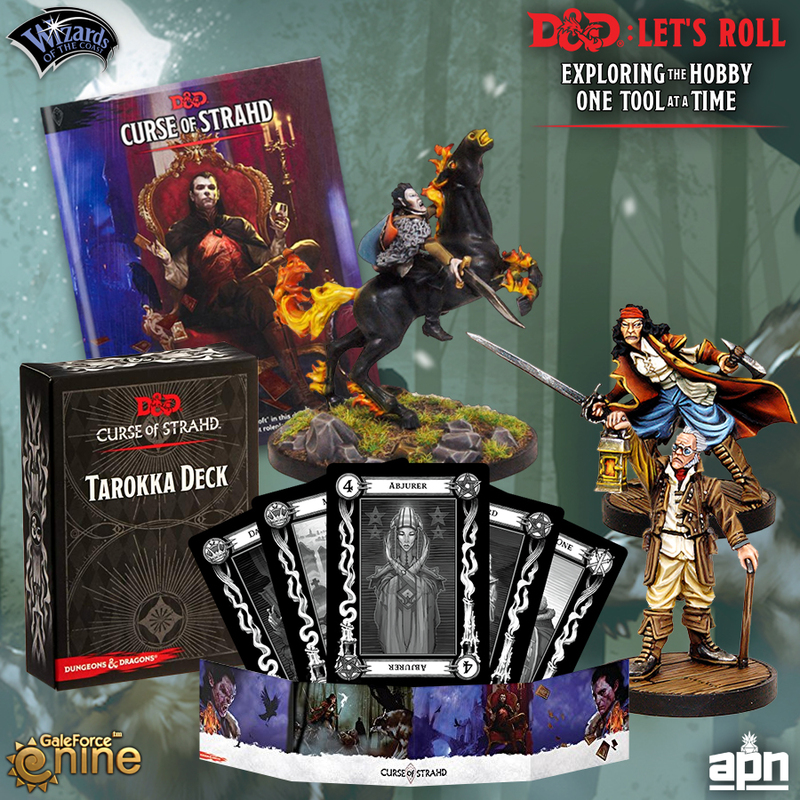 They created a physical set for use with Curse of Strahd and they bring a spark of magic and immersion to the table that players won't soon forget. They also developed a campaign specific DM screen to help guide your adventure as well as miniatures to represent several key characters. The Storm Giant King is missing and all the elemental Giant factions fall into a curious war, destroying towns and disrupting the lives of the small folk in Faerun. You band together with a group of heroes sworn to uncover the mysteries behind the conflict, uncover magical artifacts, and evade the ruthless Uthgardt barbarian tribes that haunt the Frozen North. This adventure runs from Level 1-11+ and draws inspiration from folk tales and Norse mythology. Gale Force Nine kills it again with Storm Kings Thunder Accessories. From their GM Screen to the Icons of the Realms line of miniatures from Wizkids, it's easy to enhance your table.